We’d love to keep sending you the latest NewBridge Project news, and information about exhibitions, events, projects and opportunities. On the 25 May 2018, a new data protection law, the General Data Protection Regulation (GDPR) comes into force. This is a law that gives everyone more control over their data and how it is used so we need to update our mailing list in order to keep sending you emails. Click below to stay on our mailing list and to continue to receive our emails. 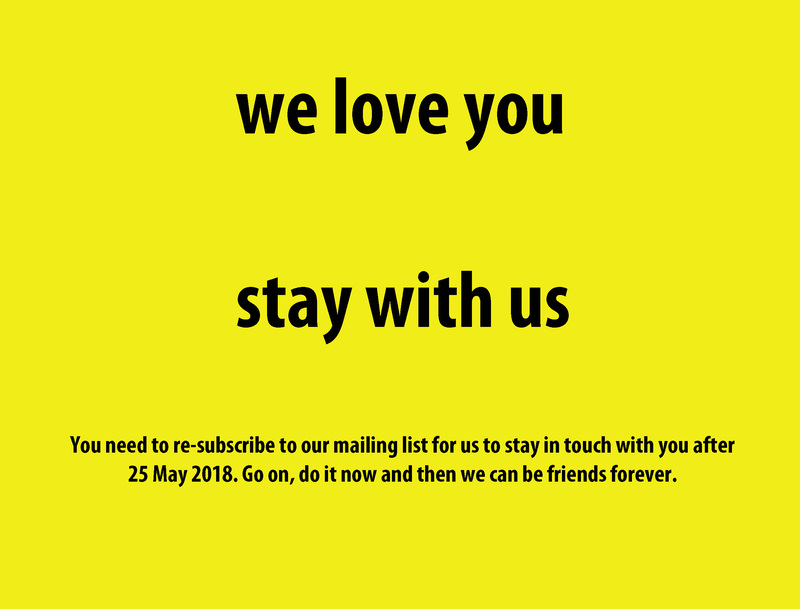 If you do not take action ahead of 25 May 2018, you will be unsubscribed from our mailing list and we won’t be able to stay in touch with you. Thank you! We look forward to being in touch with you in the future.